Erdan urges PM to stop talking of building, and actually build in the capital, while Bennett tells world: 'Jerusalem is our soul, and you don't divide a soul'. Prime Minister Benjamin Netanyahu said Sunday night that Israel's answer to terrorist attacks aimed at its citizens should be to continue construction in Jerusalem. 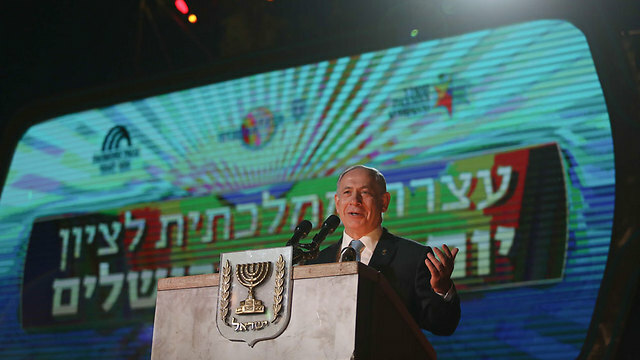 "We are determined to go after the terrorists and stand against those who wish to harm us as a fortified wall," Netanyahu said at the annual Jerusalem Day ceremony at the Mercaz HaRav yeshiva. "And we have another decisive answer: We keep building in Jerusalem all the time, developing it and paving new roads to it," he added. "Jerusalem is our eternal united capital. It will never be divided again," Netanyahu vowed, describing the liberation and reunification of Jerusalem as a "drama on a Biblical scale." "Our feet are standing within thy gates, O Jerusalem; Jerusalem, that art builded as a city that is compact together," the prime minister said, quoting from Psalms 122. "Compact together and will never be divided again," he added. He promised "to continue protecting Jerusalem. To develop Jerusalem of below, and draw strength from Jerusalem of above, from Torah studying and from all of the spiritual treasures of the people of Israel." Netanyahu also quoted Rabbi Zvi Yehuda Kook, who was among the first to arrive at the Western Wall on the day of Jerusalem's liberation in 1967 and was asked to make a radio address to mark the historic occasion, saying, "We have arrived and returned home, and we will never leave here!" "From the days of the Bible and until this very day, Jerusalem has been the basis of our existence... Jews throughout the generations prayed for 'Next Year in Jerusalem'. The Prophet Isaiah made his prophecies here in Jerusalem. There are some among our enemies who say we are a foreign element. Have you heard that?! The Prophet Isaiah and King David were here 3,000 years ago. They prophesized here, reigned here, fought here - until the days of the Maccabees and later. We are not a foreign element! This is our land, and this is our city! This is how it has been and this is how it will continue to be!" the prime minister said. Education Minister Naftali Bennett also vowed to never allow Jerusalem to be divided again. "To those who sit abroad and think there's some piece of real estate that is negotiable, we say: Jerusalem is the soul of the land of Israel, and you don't divide a soul!" Earlier in the evening, Bennett attended the traditional Jerusalem Day march to the Western Wall that ended with a ceremony. "Soon, in our time, Jews would be able to go up and pray on the Temple Mount, because the Temple Mount is ours," he said at the ceremony. Likud MK Gilad Erdan, who chose not to join the fourth Netanyahu government, was also at the ceremony at the Western Wall. "The City of David, the Mount of Olives, the Old City, the Temple Mount - they will all remain in our hands forever," Erdan said. He also had a message to Netanyahu: "We need to build in Jerusalem. Not talk about building in Jerusalem, but actually build. Building in Jerusalem should not be a response to an event or a terror attack, it should be routine." He expressed concern of the changes to the demographic balance in Jerusalem in recent years, saying current construction was not enough to meet the needs of the city's development. Two 19th-century nuns on Sunday became the first Palestinians to gain sainthood during an open-air mass celebrated by Pope Francis in St Peter's Square, and attended by PA President Mahmoud Abbas. The pontiff urged the faithful to follow the "luminous example" of the two 19th-century sisters and two others, from France and Italy, who were canonized along with them on a sunny spring morning. AFP reports that Marie Alphonsine Ghattas was born in 1843 in Jerusalem during its rule by the Ottoman Empire, and died there during the British mandate period in 1927. She was beatified -- the final step before canonization -- in 2009. Mariam Bawardy was born in Galilee, now in northern Israel, in 1846. She became a nun in France and died in Bethlehem in 1878 and was beatified by pope John Paul II in 1983. Around 2,000 pilgrims from the Palestinian territories, Israel and Jordan, some waving Palestinian flags, attended the mass as well as Abbas, who had a private audience with the pope on Saturday. Ghattas, through her focus on women's education and community work, left behind a network of convents, schools and religious centers -- a more palpable legacy than Bawardy, who lives on more through the memory of her tough and mysterious life. A miracle that led to Ghattas's canonization was the resuscitation of a Palestinian engineer in 2009, who was electrocuted and suffered a heart attack, but regained consciousness two days later after relatives prayed for her intercession. Bawardy, after becoming a nun of the Carmelite order, helped found the Carmelite Monastery in Bethlehem. Orphaned at a young age and illiterate, she had her throat slit by an angry would-be suitor when she refused to convert to Islam, but a mysterious "nun in blue" is said to have saved her life, the Carmelite order's website says. She traveled to France to become a nun, then to India to help set up a monastery there, and eventually settled in Bethlehem. Although there are several saints who lived in the region during Christianity's early days, Bawardy and Ghattas are the first to be canonized from Ottoman-era Palestine. The canonization of a third Palestinian -- a Salesian monk -- is still under review by the Church. The other two new saints are Jeanne-Emilie de Villeneuve (1811-1854) and Maria Cristina dell'Immacolata (1856-1906). 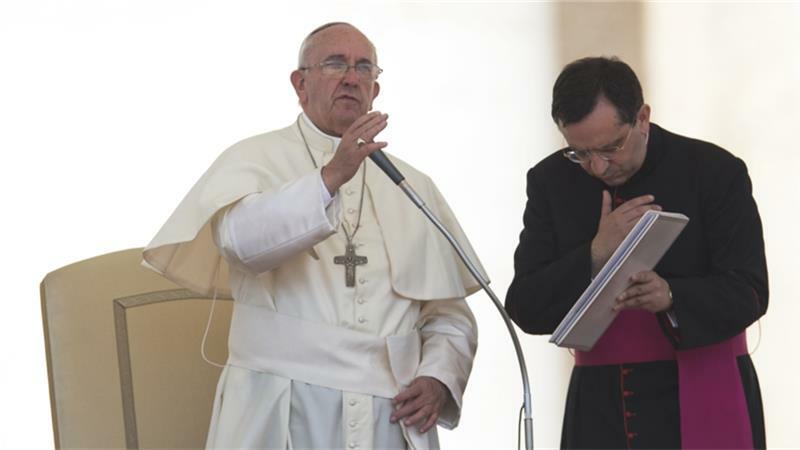 Francis urged the faithful to "follow in the footsteps" of the four women, whom he called "models of sanctity." During his meeting with Abbas on Saturday, the pontiff called him an "angel of peace" and the two discussed the peace process with Israel, the Vatican said. The Vatican said last week it was preparing to sign its first accord with Palestine, two years after recognizing it as a state. The Jordanian Minister of Industry and Commerce Maha al-Alion Sunday met with Prime Minister Rami Hamdallah in Ramallah to discuss Palestinian-Jordanian economic relations. The discussions focused on the formation of a "higher joint committee" between the two countries, which Hamdallah said would be a helpful tool for increasing commercial exchange between Jordan and Palestine as well as with other countries around the world. Hamdallah and al-Ali discussed other ways that cooperation with Jordan could support the Palestinian economy. Suggestions included encouraging religious tourism from Jordan to Palestine, establishing joint commercial centers, and increasing the list of products imported and exported between the two countries. The Palestinian economy, which is heavily burdened by the Israeli occupation, has been in a dire state for years. Police found the body of a young man in his apartment in the town of Beituniya near Ramallah in the central West Bank shortly after midnight Saturday, a Palestinian police spokesman told Ma'an. 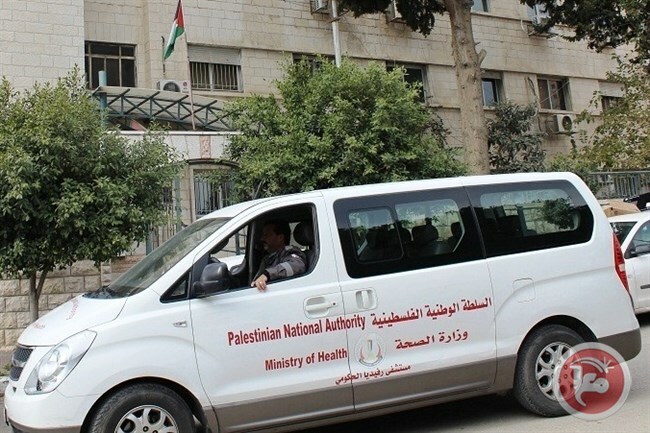 Luay Irzeiqat said that a 30-year-old man from the village of Kafr Jammal north of Qalqiliya in the northern West Bank was found dead in Beituniya at 1:00 AM. He said that the victim had been stabbed to death with a screwdriver in the chest. The body was taken to hospital as police detectives opened an investigation on the case. 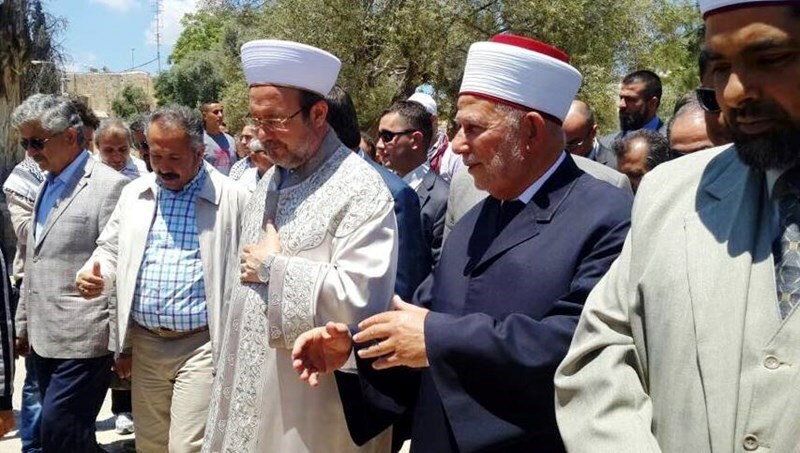 An official Turkish delegation led by minister of religious affairs Mohamed Kormaz is expected to visit the besieged Gaza Strip on Sunday. Turkish ambassador to the Palestinian Authority Mustafa Sarnch will join the delegation on its two-day visit to the Strip. During his stay in Gaza, minister Kormaz will tour bombed areas, especially where a number of mosques sustained damage during the last Israeli war on Gaza. The minister will also hold meetings with deputy head of Hamas's political bureau Ismail Haneyya and a number of Palestinian officials from the legislative council and the ministry of religious affairs. President Mahmoud Abbas and Pope Francis on May 16, 2015. Pope Francis met President Mahmoud Abbas on Saturday, calling him "an angel of peace," days after the Vatican said it was preparing to sign its first accord with Palestine, to the anger of Israel. Abbas met the pontiff for about 20 minutes for a private audience, a day before the Pope is due to canonize two Palestinian nuns, who will become the first Palestinians to gain sainthood. On Wednesday the Holy See announced that it was preparing to sign its first treaty with Palestine, two years after officially recognizing it as a state. A bilateral commission is putting the final touches to the agreement, on the Catholic Church's life and activities in Palestine, which then "will be submitted to the respective authorities for approval ahead of setting a debate in the near future for the signing," the Vatican said on Wednesday. 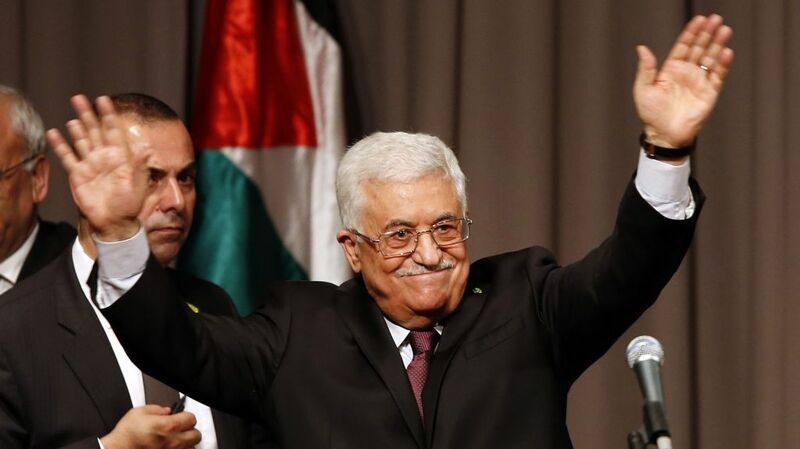 Some observers speculated that the agreement could be signed during Abbas's visit. "Israel heard with disappointment the decision of the Holy See to agree a final formulation of an agreement with the Palestinians including the use of the term 'Palestinian State'," said an Israeli foreign ministry official. "Such a development does not further the peace process and distances the Palestinian leadership from returning to direct bilateral negotiations. Israel will study the agreement and consider its next step." According to AFP. the agreement, 15 years in the making, expresses the Vatican's "hope for a solution to the Palestinian question and the conflict between Israelis and Palestinians according to the Two-State Solution," Antoine Camilleri, the Holy See's deputy foreign minister, said in an interview earlier this week. In an interview with the Vatican's Osservatore Romano newspaper, Camilleri said he hoped "the accord could, even in an indirect way, help the Palestinians in the establishment and recognition of an independent, sovereign and democratic State of Palestine." 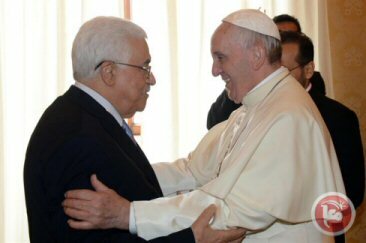 The Palestinian Authority considers the Vatican one of 136 countries to have recognized Palestine as a state, although the number is disputed with several recognitions by what are now European Union member states date back to the Soviet era. Abbas's visit came a day before two nuns who lived in Ottoman Palestine during the 19th century will be made saints at a Vatican ceremony. Marie Alphonsine Ghattas of Jerusalem and Mariam Bawardy of Galilee will become the first Palestinian Arabs to gain sainthood. Ghattas was born in Jerusalem in 1843 during the Ottoman era and died in 1927 at the outset of the British Mandate over Palestine. She set up the Holy Rosary Sisters dedicated to women's education and empowerment, which today has Today the Holy Rosary Sisters have reputable schools in Palestine and in other Arab countries. She was beatified -- the final step before canonization -- in 2009. Bawardy was born in Galilee, now in northern Israel, in 1843. She became a nun in France and died in Bethlehem in 1878, establishing a convent in Bethlehem in 1876 which still exists until today. She was beatified by Pope John Paul II in 1983. The recognition of Palestinian Christians by the Pope urged Abbas Saturday to openly express his value of Palestine's Christian community, which makes up around 8 percent of the population in the occupied West Bank. "On this holy occasion we would like to express appreciation to our Palestinian Christian brothers for their steadfastness and effective contribution to building the Palestinian nation, and we call upon them to stay with us and not to be easily swept by the tide of migration," Abbas said in a statement, referring to increasing levels of Christian emigration from Palestine in recent years due to restraints placed by the Israeli occupation. The canonization of a third Palestinian -- a Salesian monk -- is still under review by the Church. Members of the European Eminent Persons Group (EEPG) have called for a fresh approach to resolving the Israeli-Palestinians conflict in a letter sent to the EU High Representative for Foreign Affairs Federica Mogherini, EU foreign ministers and copied to US Secretary of State John Kerry this week. The letter, signed by former European prime ministers, foreign ministers and one former president, expresses their low confidence that Prime Minister Netanyahu's new Israeli coalition government is committed to negotiating for a two-state solution, or that the US Government will be able to lead negotiations with the "vigour and the impartiality that a two-state outcome demands." Noting that the collapsed peace protest also harms European interests, the EEPG urge the EU to take a more proactive role in resolving the conflict. The letter also discusses the conditions facing Palestinians in the Occupied Territories, stating that: "Standards of living and human rights in [the Occupied Territories] have sunk shockingly low. It is no longer possible for the EU to allow these conditions to continue without grave risk to its international reputation and to its long-term interest in the stability of its neighbourhood ... Europe has yet to find an effective way of holding Israel to account for the way it maintains the occupation. It is time now to demonstrate to both parties how seriously European public opinion takes contraventions of international law, the perpetration of atrocities and the denial of established rights." Among the recommendations made by the EEPG in the latter are a tougher stance on illegal settlements, and the introduction of 'political conditionality' for the EU's interactions with both sides, dependent on their commitment to the two-state solution. The group also recommend that EU support for UN Security Council resolutions calling for either new negotiations to establish a two-state solution or the recognition of Palestinian statehood and accession to international treaties. 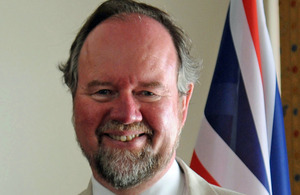 Reacting to the letter, MAP trustee and former UK Consul-General to Jerusalem Sir Vincent Fean said: "This is a powerful, accurate analysis and policy prescription by a set of people who know what it is to make hard choices - and who are motivated by what is best for Israel, Palestine, Europe and the wider world ... The focus on UN Security Council action is right. The crisis requires a formal restatement of the will of the international community to guarantee the two state outcome, with consequences for rockets from Gaza, the continuation of the blockade of Gaza, and settlement activity." "We thank God the Almighty for the blessings He has bestowed on two holy women from Palestine: Mariam Baouardy Haddad from Ibillin village in the Galilee and Marie Alphonsine (Sultana Daniel) Ghattas from Jerusalem".President abbas added in his statement wich PNN Received :"Our Holy Land has become a bastion of virtue for the entire world, and we are grateful to His Holiness Pope Francis and the Catholic Church for their observance and interest in the seed of virtue that has grown in Palestine. Palestine is not a land of war; it is rather a land of sanctity and virtue as God intended it to be. St. Mariam Baouardy Haddad was born in 1846 in the Galilee during the Ottoman era and died in Bethlehem in 1878. She lived in Alexandria, Beirut and France. Since her childhood, she was no alien to pain and agony. She sensed the voice of God calling her to a life of spirituality, joined the Carmelite Order in France and dedicated her life to the Lord, who lavished upon her spiritual gifts and blessings. She prayed, interceded and did miracles, and in 1876 established a convent in Bethlehem which still exists until today. Nowadays the convent resonates with prayers for the relief of the suffering of the Palestinian people, Christians and Moslems, alike. St. Marie Alphonsine was the name given to Sultana Daniel Ghattas after ordination. She was born in Jerusalem in 1843 during the Ottoman era and died in 1927 at the outset of the British Mandate over Palestine. St Marie lived in the streets of the Old City of Jerusalem, which still holds the indelible traces of Jesus Christ. Until today Jerusalem is daily witnessing the suffering of the Palestinian people and affecting their human dignity and holy places. St. Marie set up the foundations for a monastic life for the women of Palestine and the Arab world known as the Holy Rosary Sisters dedicated to their education and empowerment. Today the Holy Rosary Sisters have reputable schools in Palestine and in other Arab countries. It is an inspirational message which coincides with the commemoration of our people's Nakbah of 1948, emphasizes our unity, and affirms our determination to build a sovereign, independent and free Palestine based on the principles of equal citizenship and the values of spirituality and sublime humanity. On this holy occasion we would like to express appreciation to our Palestinian Christian brothers for their steadfastness and effective contribution to building the Palestinian nation, and we call upon them to stay with us and not to be easily swept by the tide of migration. We call on Palestinian Christians to stay with us and enjoy the rights of full and equal citizenship, and bear with us the difficulties of life until we achieve liberty, sovereignty and human dignity. Through truth and justice we can decide our own fate, and with the prayers of sincere and faithful believers all our endeavors will be realized. St. Mariam Baouardy Haddad and St. Marie Alphonsine are two daughters of our people representing a unique and powerful voice that tells us that the power of spirit is in us and guides us toward the State and its capital Jerusalem. A woman from Ibillin village in the Galilee, St. Mariam Baouardy Haddad teaches us that God is for the oppressed because she was oppressed and she faced hardships and suffered from displacement. But later she devoted herself to spiritual life and established the Carmelite Convent in Bethlehem. St. Marie Alphonsine (Sultana Daniel) Ghattas who emerged from the heart of Jerusalem tells us that the city of Jerusalem will always remain the city of God and the city of justice and peace for all believers of all faiths. Jerusalem, St. Marie told us, will remain a spiritual heart for every believer in the world. We say: Based on this spiritual foundation, Jerusalem will be our capital, God willing. These two Palestinian saints add a very distinctive dimension to our national struggle, namely the moving humanitarian and spiritual principles that our land inspires us with. The land that God has made sacred, the land of dialogue between heaven and earth, God and man, and man and man. These are the uplifting spiritual principles that Christians and Moslems share in our Holy Land, and they are the same principles that we seek to form, the bases for the establishment of our State and for our national and social life. As we celebrate this holy occasion, we would like to congratulate our brothers and sisters in Ibillin as well as in Jerusalem and the rest of Palestine and the whole world. We reiterate our gratitude to the Papacy of the Catholic Church for the canonization of two nuns from Palestine. We ask God the Almighty to lead us all and guide our steps towards the achievement of justice, peace and tranquility in Palestine and the whole world President Abbas' end his statement. Federica Mogherini will conduct talks on the stalled peace process with Israeli and Palestinian leaders and officials, days after Prime Minister Benjamin Netanyahu begins his fourth term. EU foreign policy chief Federica Mogherini will visit the Middle East next week for talks on the peace process with Israeli Prime Minister Benjamin Netanyahu and Palestinian President Mahmoud Abbas, Brussels said Friday. Her visit on Wednesday and Thursday, which comes just days after Netanyahu started a new term as Israeli premier, will be "to discuss the bilateral relations as well as prospects for the Middle East Peace Process," her office said. The former Italian foreign minister will also meet a number of other Israeli and Palestinian officials, the statement from her office said without giving further details or the exact venue of the talks. Mogherini took over as foreign policy chief for the 28-nation European Union in November and visited Israel and the Palestinian territories shortly afterwards, saying she wanted to make a priority of pushing forward the Middle East peace process. She has been criticized by some in Israel for her vocal insistence that a two-state solution is the only way forward and for her condemnation of Israeli settlement-building. Mogherini said in March that the European Union was committed to re-launching the peace process, shortly after Prime Minister Benjamin Netanyahu won re-election. "We are at a crucial moment, with many threats all over the Middle East. "The EU staunchly supports a peaceful resolution of the Israeli-Palestinian conflict, in the interest of the Israeli people, of the Palestinian people and of the whole region. We are at your side, you can count on us," Mogherini assured, calling on a "bold leadership" to reach "a comprehensive, stable and viable settlement of a conflict that has already deprived too many generations of peace and security." "It's time to turn this page and I'm confident that we can work together with the international community for a solution that will guarantee peace and security in the Middle East," she added. The Vatican on Wednesday has concluded its first treaty that formally recognises the State of Palestine, with an agreement on Catholic Church activities in areas controlled by the Palestinian Authority, according to the Holy See. A joint statement released by the Vatican said on Wednesday said the text of the treaty had been concluded and would be officially signed by the respective authorities "in the near future". 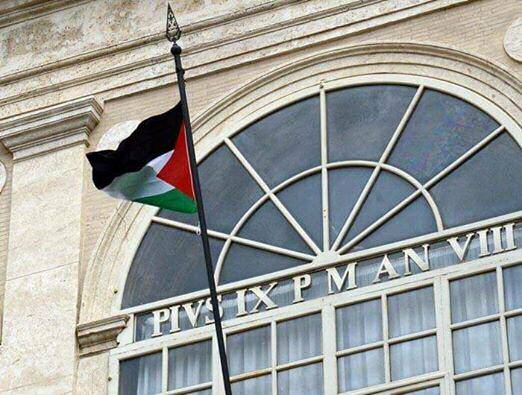 To her part, the PLO executive committee member, Dr. Hanan Ashrawi, in a statement on behalf of the Palestinian leadership welcomed the Vatican's recognition of the State of Palestine as a genuine contribution to peace and justice. "The significance of this recognition goes beyond the political and legal into the symbolic and moral domains and sends a message to all people of conscience that the Palestinian people deserve the right to self-determination, formal recognition, freedom, and statehood," statement said. Ashrawi added that the move gains an added significance in the context of the canonization of the two 19th century Palestinian nuns, Sister Marie Alphonsine Ghattas from Jerusalem and Sister Mariam Bawardy from Ibilin village in the Galilee, by His Holiness Pope Francis on May 17; this points to the long-standing relationship between the Vatican and the Palestinians, and it is an affirmation of Palestinian identity, culture and narrative in Palestine as the Holy Land. "We are extremely encouraged and appreciative of this courageous and moral stand, and it is our hope that those countries that have not yet recognized Palestine will do so in the immediate future," statement concluded.